iHome Audio’s iB85 Bluetooth Wireless Headphones comes with a handy, weatherproof carrying case, comprehensive written instructions, and a USB charging cable. 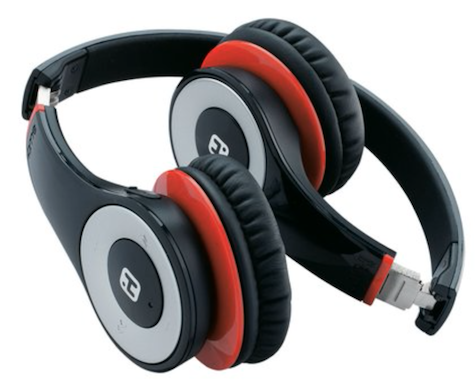 These on-ear headphones are attractive black, red, and silver, with hinge-folding earpieces for travel convenience. The left earpiece has power, Bluetooth, volume, and track advance button zones. iB85 is not forgiving when source audio quality is substandard, including older recordings that don’t stand up to detailed listening. This attribute is a bonus, not a demerit, for today’s high performance headphones. You may be amazed at the immense variation from sensational to awful of all recorded popular music; classical and jazz recordings are usually consistently better than pop tracks. Battery charging and Bluetooth pairing (or connecting) of iB85 with iPhones and other Bluetooth devices is straightforward. Wireless audio Bluetooth signal is at the low 25 to 30 foot range with iB85. One day soon we will laugh at this near field limitation and signal breakup point, but for now, keep it in mind. Note that iB85 is wireless only. There is no cable audio option. 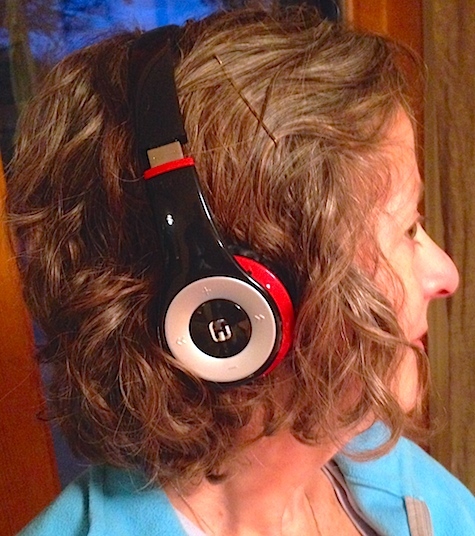 I included two non-technical, non-musical, non-audiophiles as a listening panel to help evaluate iHome Audio’s impressive new iB85 Bluetooth Wireless Headphones. They agreed with one another after independent listening and comfort testing. I am more of a target customer than is either of my two panel members, but it’s important to have real world control users in every comprehensive experiment. We will refer to our panel members as P1 and P2. P1 was impressed with the clean, clear audio from iB85. She could “really hear the separate instruments.” She thought “this classical recording must be a really good one,” because it sounded great overall. The jazz vocals and accompaniment are “so separate, like in different dimensions.” She considers the physical headphones easy to adjust. Fit and comfort are “okay; not fabulous, but fine.” I could hear room audio bleed while she was listening at moderate volume, sitting across the table, so passive noise isolation is minimal. I consider iB85 to be lightweight and easy to adjust, and moderately comfy for long term listening on my bald head and glasses-wearing ears. When I’m doing the dishes, walking the dog, or working outside in the yard these headphones are immersive via Bluetooth audio with my iPhone in my pocket. Do not drive while wearing these or any other headphones! I usually set iB85’s volume to maximum on the left ear button, and adjust my desired listening levels at first from the iPhone. Then I can fine tune the volume from the earpiece, as appropriate. Have you heard the unusual version of Let It Be on the Voices Only 2011 CD? Notwithstanding the auto tune vocals, the sonic spectrum is impressive and good for test listening. So is God Bless the Child, on the same CD. iB85’s telephone experience is low-fidelity with limited voice quality at both ends of the call. It works, but it won’t win any awards. At $150, iHome Audio’s iB85 has a rich bass, strong midrange and treble, sonic separation, excellent convenience, reasonable comfort, and attractive design. Consider them when you are planning to purchase Bluetooth only on-ear headphones.